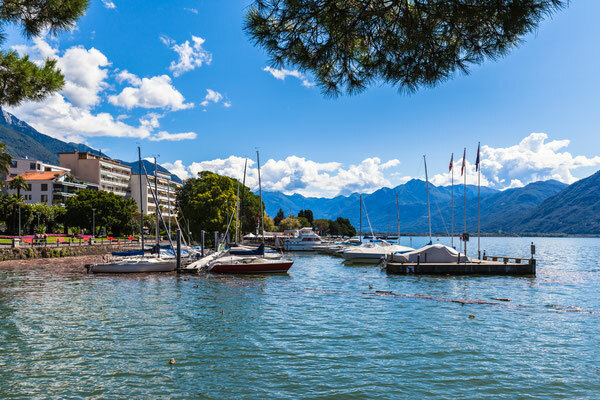 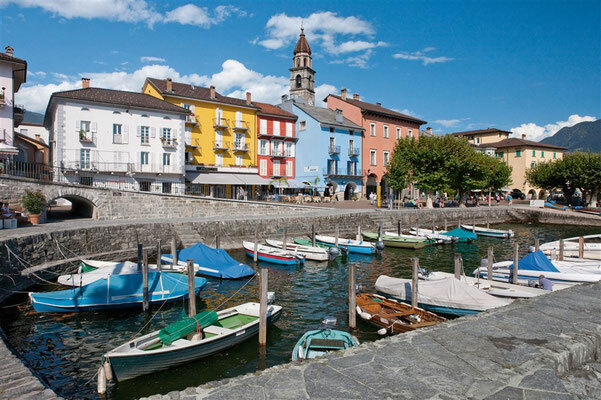 The Swiss part of Lake Maggiore, surrounded by the towns Locarno, Ascona, Brissago and further small villages, prides itself on its numerous and extraordinary nature beauty spots. 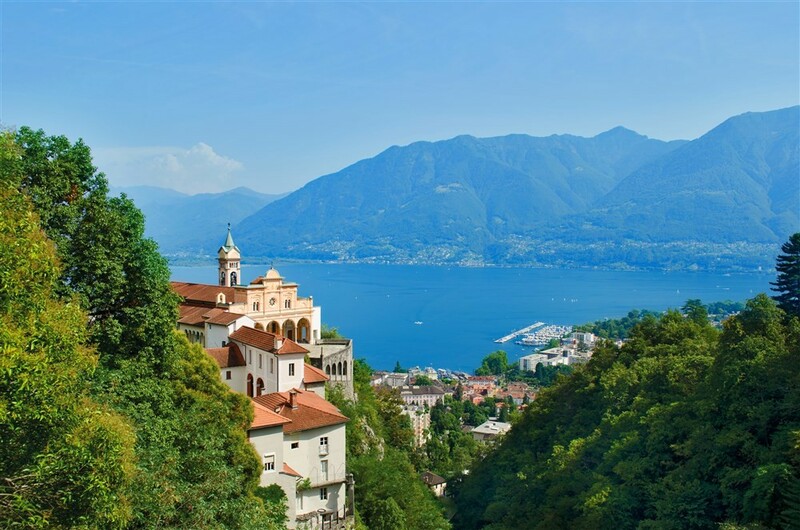 Thanks to the enchanting flowers and plants from all 5 continents, the Botanical Garden of the Brissago Island is of major importance. 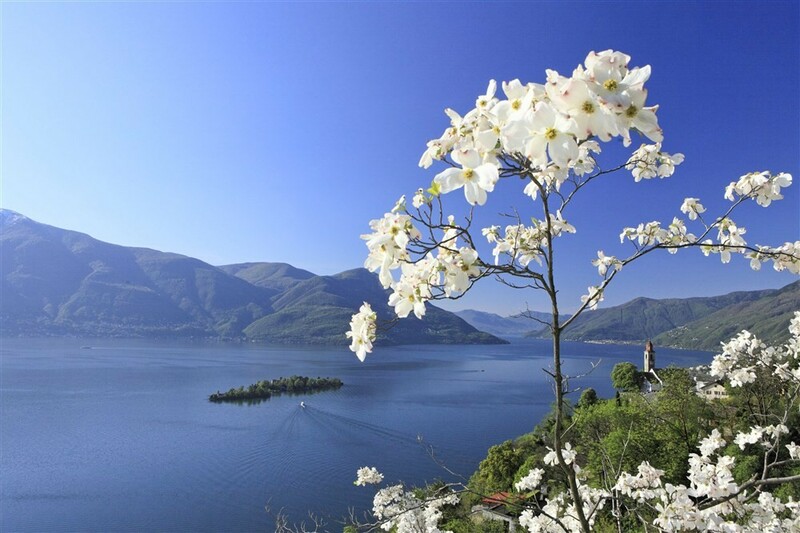 Near the lakeshore and the centre of Locarno lies the Camellia Park with over 900 species of this beautiful flower, some of which very rare. Locarno is recognised worldwide for its International Film Festival, the biggest cultural event in Switzerland and one of the most important ones in Europe. It also has a strong relationship with flowers; lovers of nature are drawn by the spectacular shows of camellias, mimosa and magnolias. The clear autumn days attract those who are looking for a quiet stay with excursions. 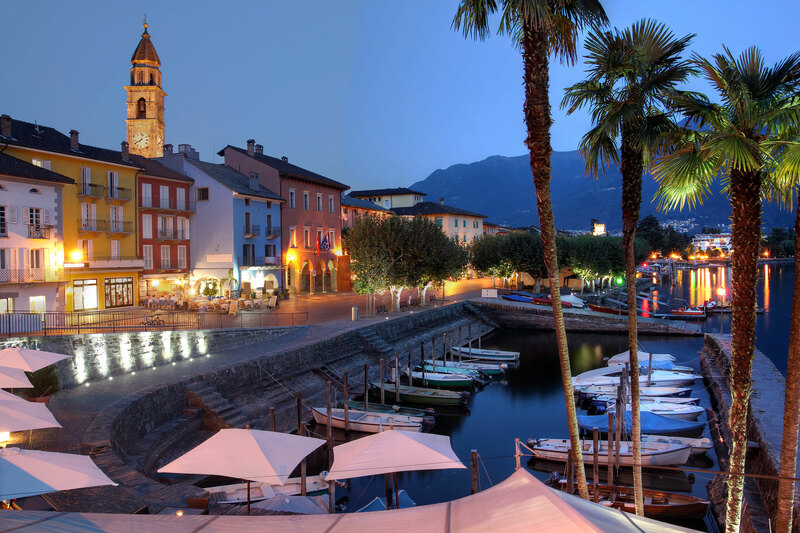 The historic Piazza Grande, with the typical arcades, is one of the most famous squares in Switzerland, with its numerous boutiques and restaurants. 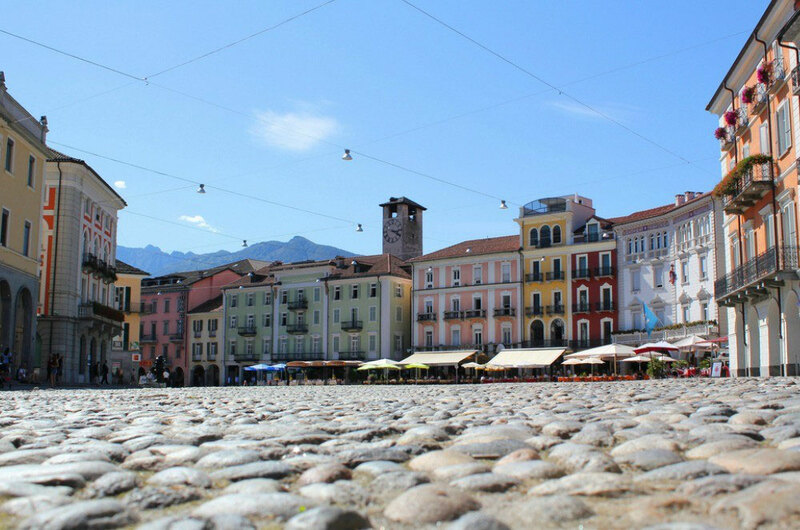 This is the meeting place as well as the heart of the town, where the main commercial and cultural activities take place: the weekly market on Thursdays, the Moon & Stars concerts and the open air film projections during the Film Festival. 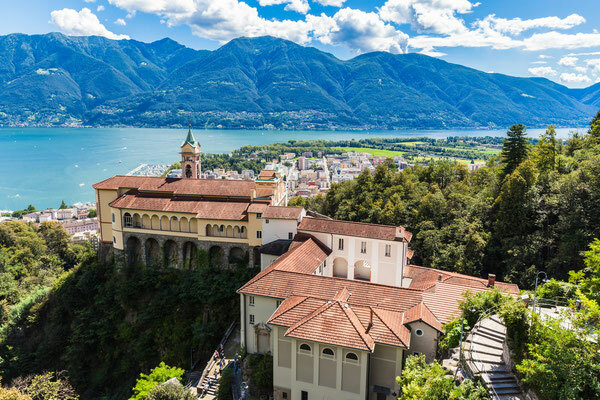 In Locarno there are various witnesses of the past, as for example the sanctuary of Madonna del Sasso, the Visconti Castle with the “Rivellino”, a bulwark, attested as a Leonardo da Vinci work and the picturesque old town. 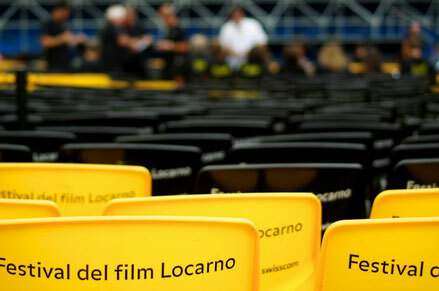 One of the Top Events of Switzerland, Festival del Film Locarno manages to transform Locarno into a cultural metropolis where the young and fashionable predominate, and which converts Piazza Grande into the "most beautiful movie theatre in the world"; the first projections took place in the gardens of the Grand Hotel and with the years it developed a character of its own which makes it stand out from other larger festivals even today. The main square Piazza Grande, which is the symbol of Locarno with arcades and the traditional pebbled paving, is nowadays a pedestrian area. 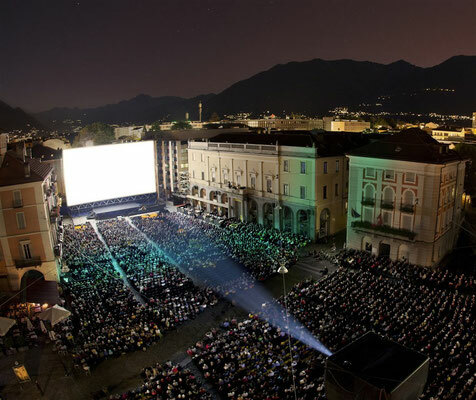 The square is the "pulsating heart" of the town that combines historic buildings (the old seat of the cantonal government) with worldly life (the international film festival) and is located just a few minutes walk from the Visconti Castle. 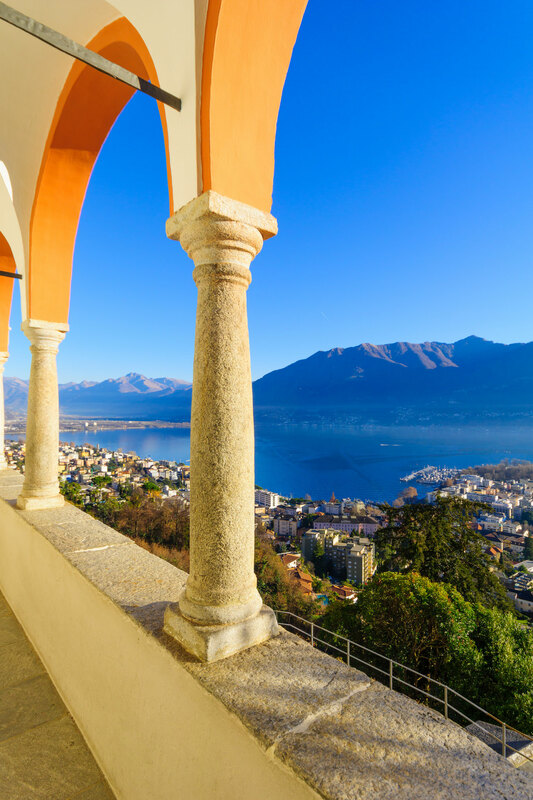 On a rocky spur of the hill overlooking Locarno stands the Sanctuary of the Madonna del Sasso, the site of many pilgrimages. Beside the church, which was built between the 16th and 17th centuries, can be found the monastery which houses a community of Capuchin friars; over the centuries, the renaissance church was constantly decorated and now the Casa del Padre is home to a museum of sacred objects. 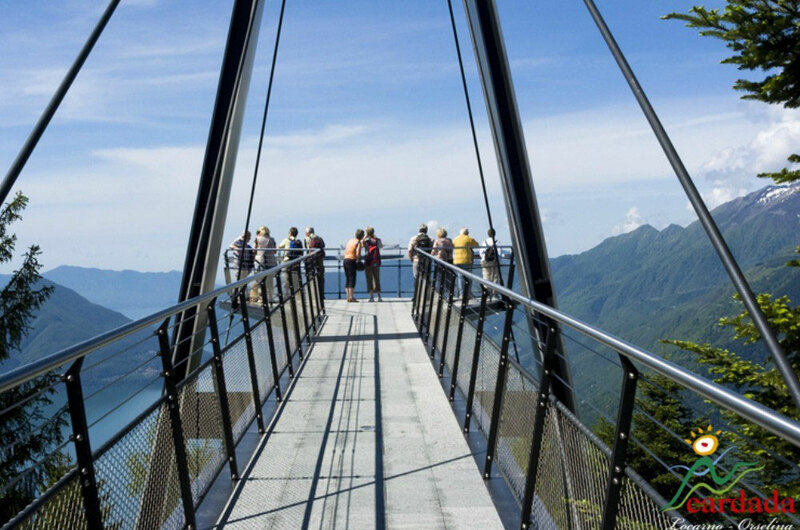 In Orselina, near the Madonna del Sasso, a modern cable-car takes you to a height of 1,340 metres. 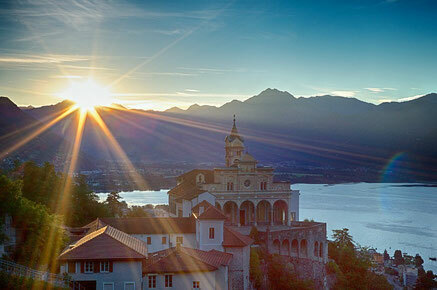 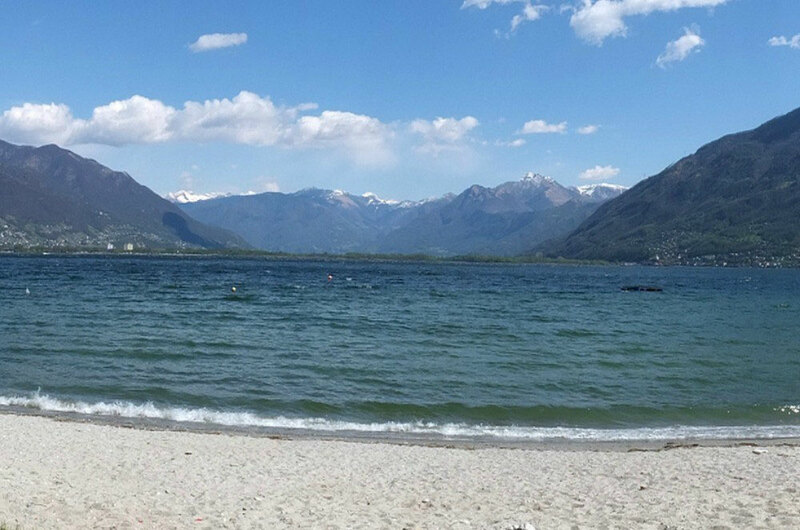 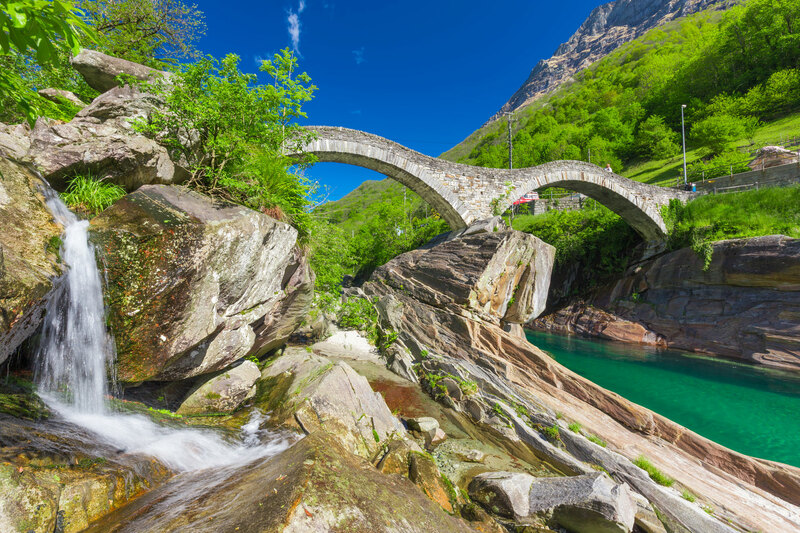 Cardada, just a few minutes from Locarno, offers you peace, nature and wonderful walks and excursions. 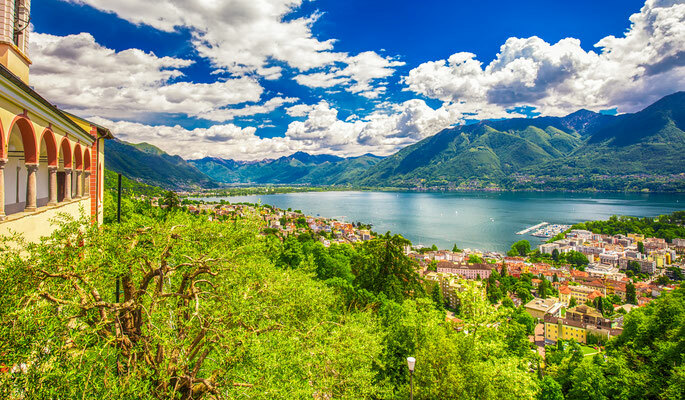 Here awaits you a breathtaking view on the Lake Maggiore and the surrounding peaks, as well as the landscape promontory, the play path and the geological observatory. 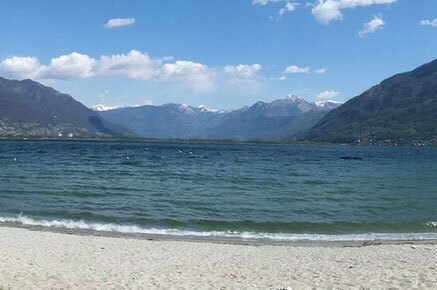 The new “Lido Locarno”, located on the shores of the beautiful Lago Maggiore was opened in October 2009. 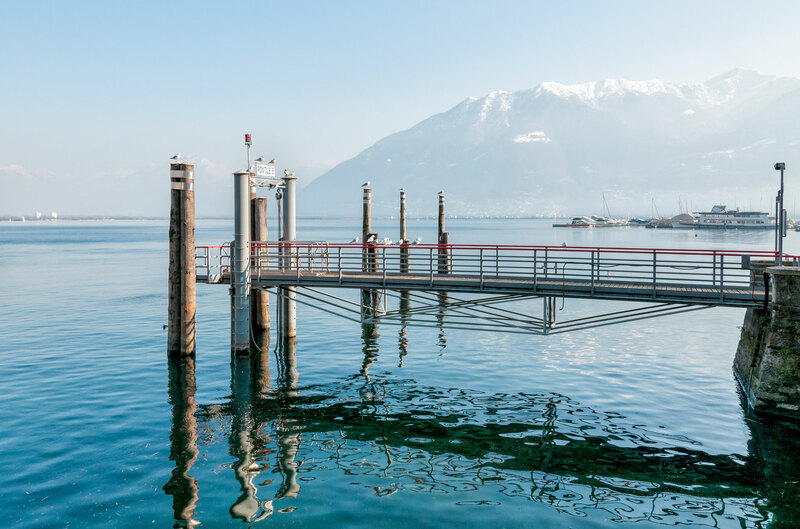 The lido is a veritable oasis for all fans of water-related sports, fun and spa activities. The new Lido is open all year around, whatever the weather.